3. three motors and double switch. 4. heavy duty vacuum cleaner. 2. The large capacity 100L trash barrel. 5. Have the strong silent type motor (The imported USA professional motor “AMETEK”) . 6.The strong stainless steel barrel body. 7. The machine head equipped with three motors and double switch. YS-5510- is widely used in the factory floor and work table cleaning of machinery, pharmaceutical, chemical, ceramics, food industry, etc. 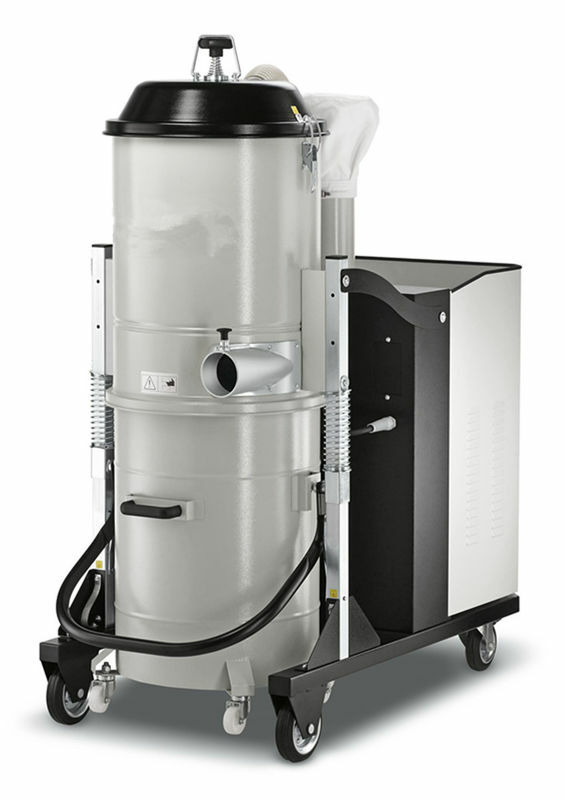 The cyclone structure in the filtering barrel can keep lasting and high cleaning efficiency. The standard efficient filtration adopt star type bag filter, filter area are very large, for those equivalent diameter above 0.3μ m particle, the filter efficiency is higher than 99.99%. The manual filter shaker can separate the100L containers, making it a quick and easy way to collect debris. Seperated barrel is easy to dusmping. the strong stainless steel barrel body and metal frame make it has a better impact resistance and durability in industrial use. seaport closes to our company is Shanghai port. So sea transportation is our frequent choice to send products.